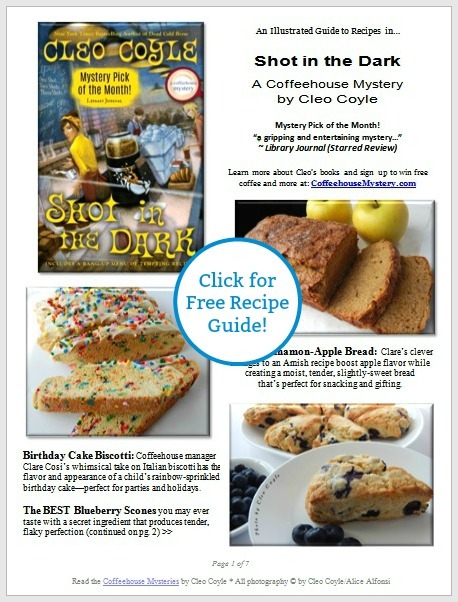 guide to the recipes in Shot in the Dark. There are now 17 titles! Or see it on YouTube by clicking here. 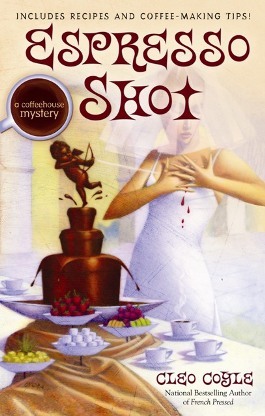 Cleo Coyle launched her bestselling Coffeehouse Mystery series in September 2003 with On What Grounds. It is now in its 20th printing from Penguin. 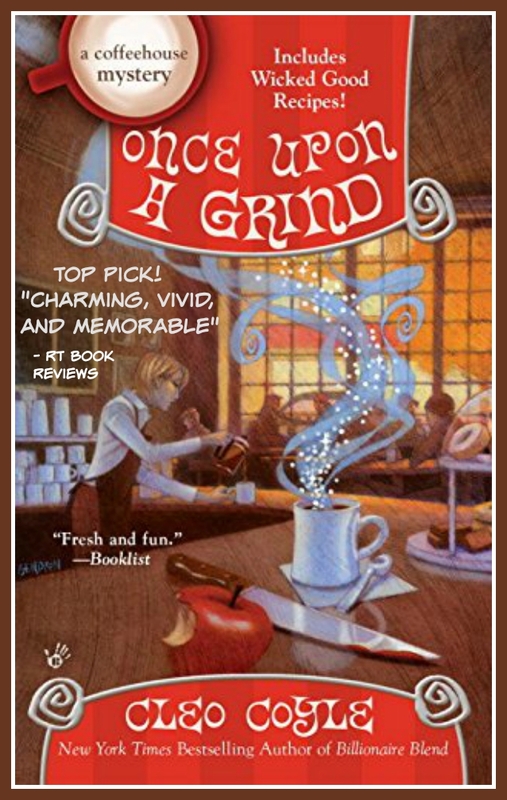 Once Upon a Grind, click here. 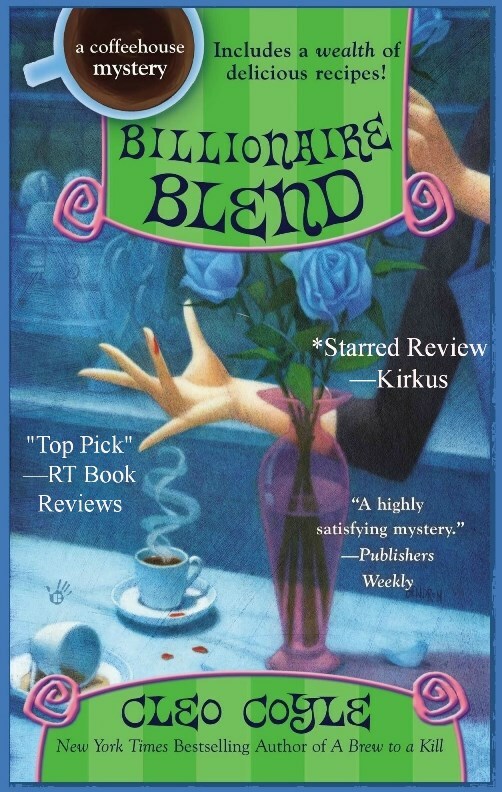 The 13th entry in the series, Billionaire Blend, is a stellar read, literally. 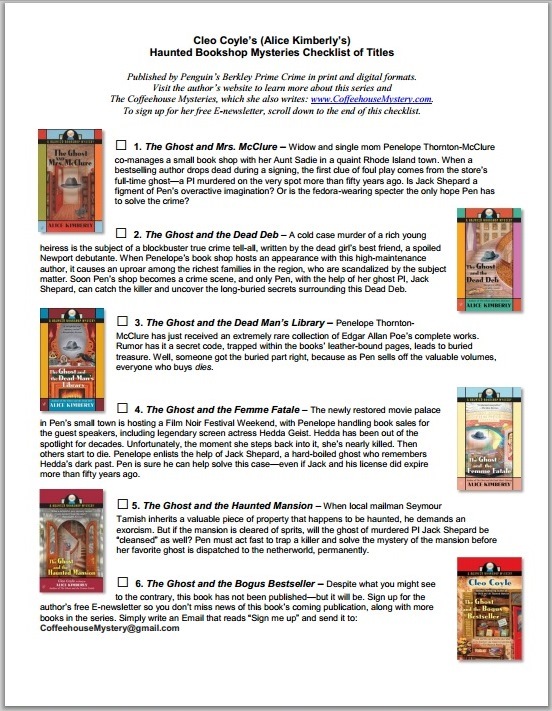 It was honored with a Starred Review by Kirkus, given to books of "exceptional merit." 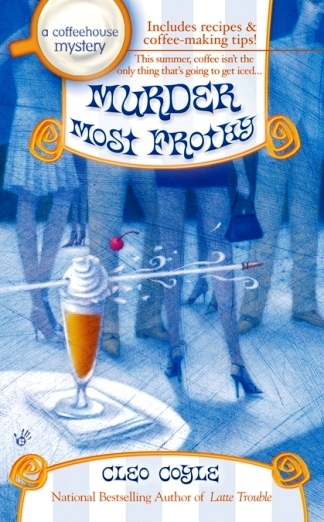 The book was also chosen as a "Top Pick" from RT Book Reviews, and praised as "...a highly satisfying mystery" by Publishers Weekly. 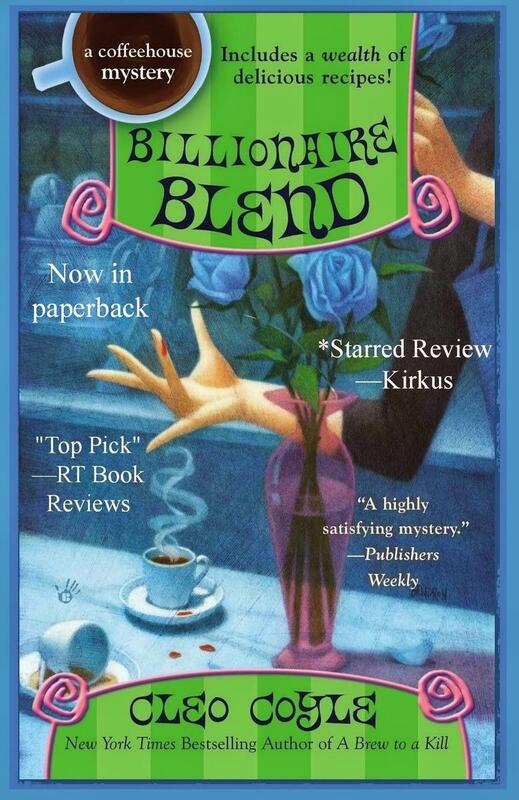 Billionaire Blend was a bestseller in hardcover last year and has since become a bestselling paperback. 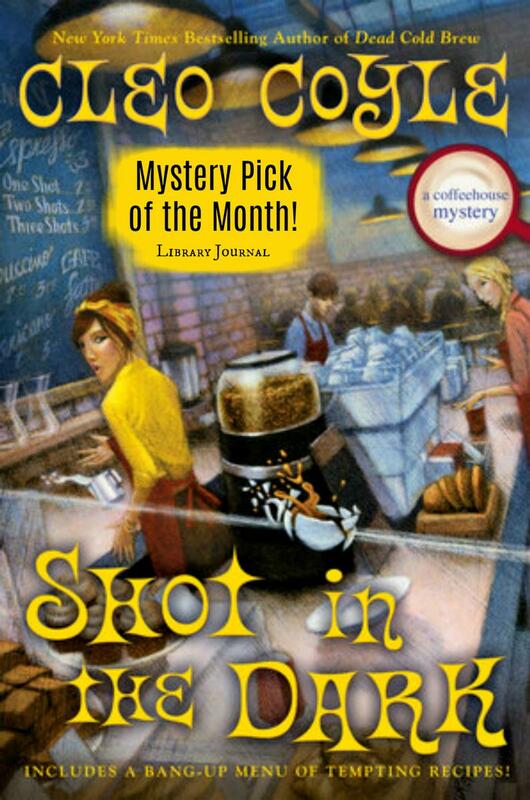 Coffeehouse Manager Clare Cosi learns that running a food truck can be murder in A Brew to a Kill, the 11th entry in the Coffeehouse Mystery series. 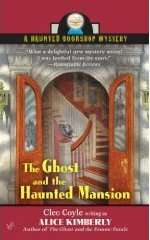 First released by Penguin in hardcover, it quickly became a a bestseller and was honored as a "must-read" mystery by Barnes & Noble, chosen by Mystery Guild as a Featured Alternate Selection, and in less than a month after publication, the hardcover went into a second printing. 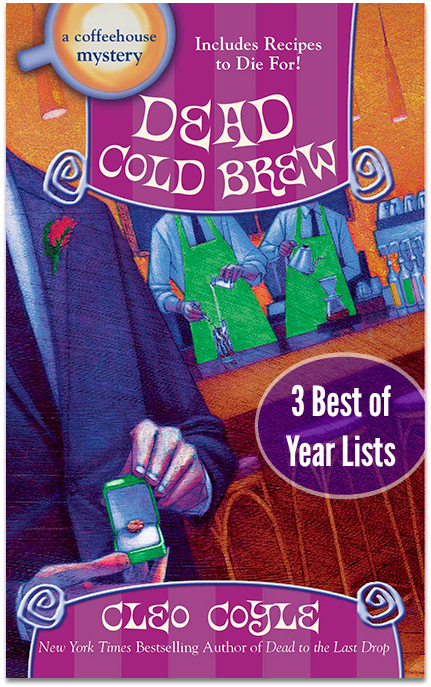 A Brew to a Kill is now a bestselling paperback. 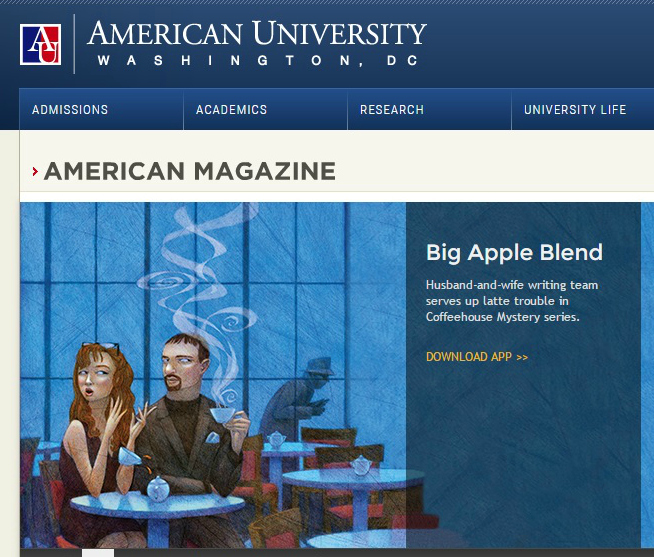 A Brew to a Kill, click here. 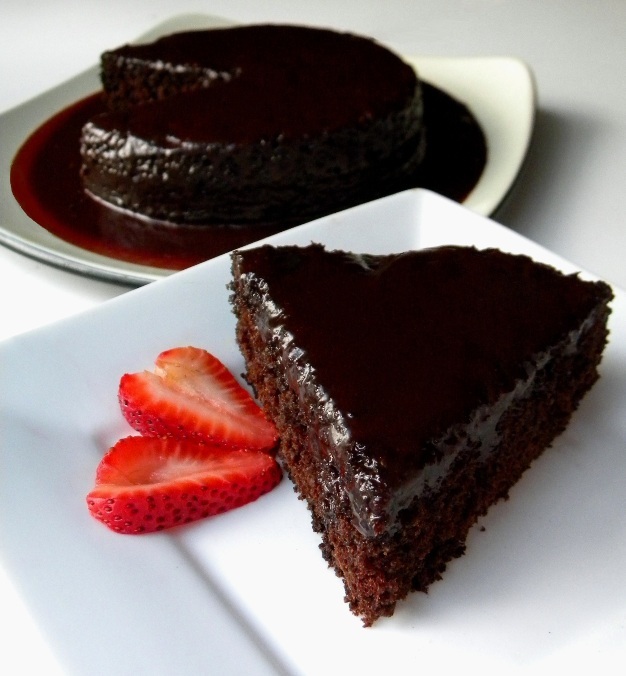 Can Chocolate and Coffee Heat Up Your Love Life? 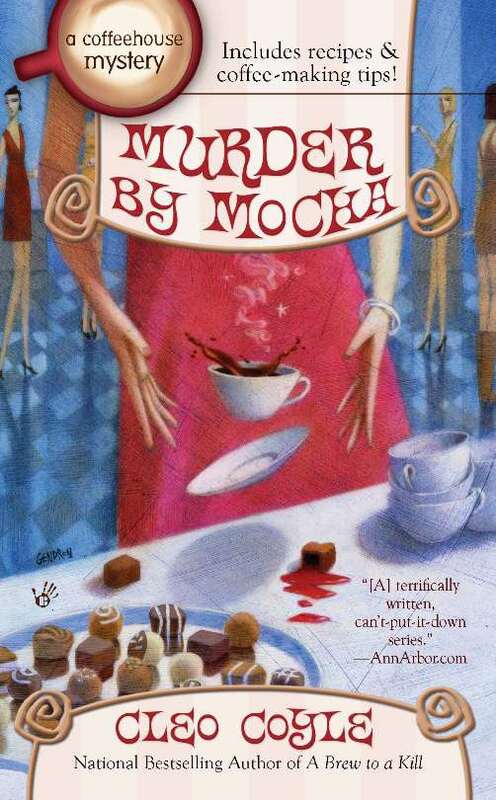 Chocolate and coffee become a deadly combination in Murder by Mocha, now availabe in its beautiful, bestselling foiled paperback edition. 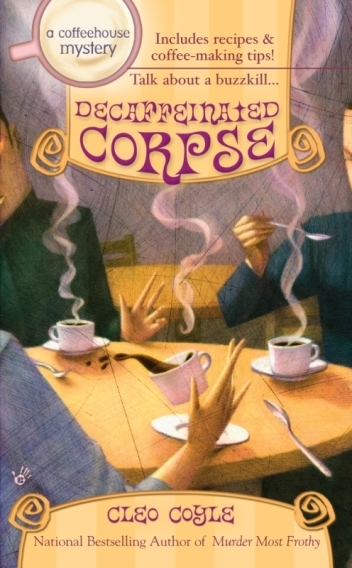 The book was originally a national bestseller in hardcover. 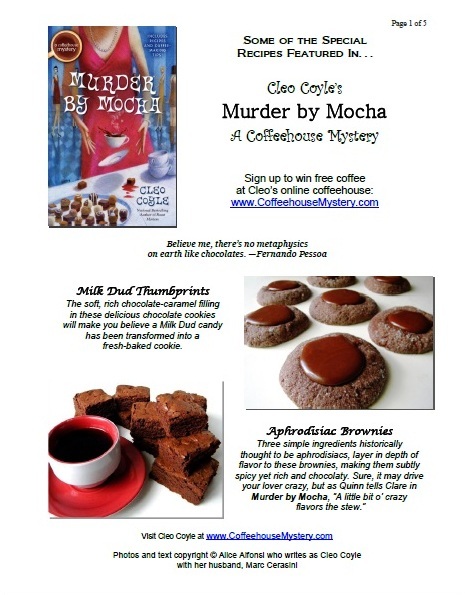 Packed with bonus chocolate and mocha recipes, Murder by Mocha is a delicious, fast-paced culinary murder mystery. 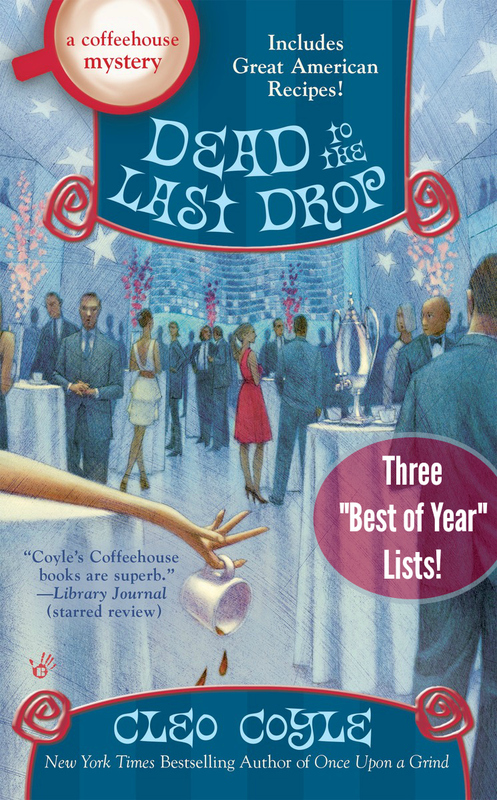 Four reviewers placed this book on their "Best of Year" lists. Murder by Mocha, click here. 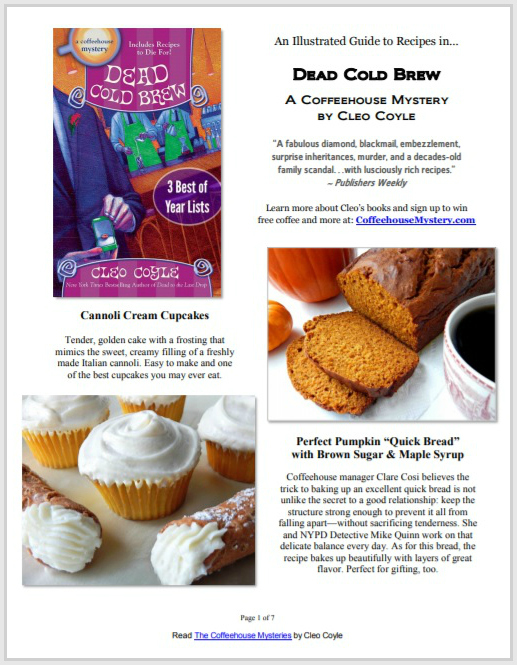 Ten years ago, Clare Cosi left an unhappy marriage along with a job she loved: managing the historic Village Blend coffeehouse in New York’s Greenwich Village. 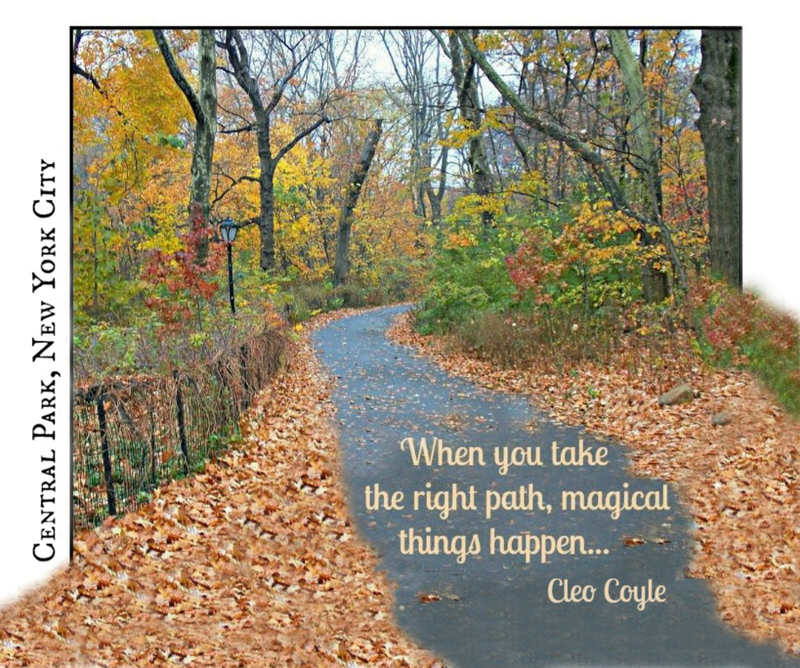 For a decade, she was happy raising her daughter in the quiet suburbs of New Jersey; but now that Joy is grown and gone, life has gotten way too quiet for Clare. 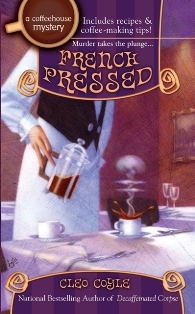 With a little cajoling from Madame, the Blend’s flamboyant, elderly owner (not to mention a persuasive pot of Jamaica Blue Mountain), Clare agrees to return to her old job—and right from the start she gets one heck of a jolt. On her first morning back as Village Blend manager, Clare unlocks the front door to find her beautiful, young assistant manager, Anabelle Hart, unconscious in the back of the store, coffee grounds strewn everywhere. "She had to die. The Genius knew this and was absolutely fine with it. 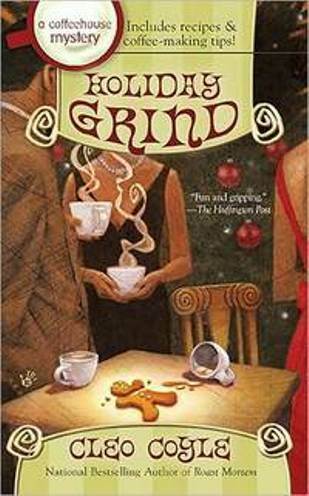 The problem, of course, was how...."
Clare’s new life in the city is percolating right along, with her grown daughter, Joy, close by in culinary school; and her ex-husband, Matt, working even closer as the Blend’s coffee buyer. 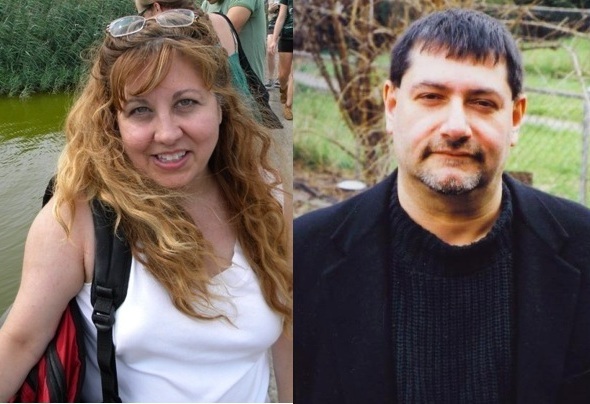 Even better, their newest loyal customer is Mike Quinn, the NYPD detective who helped Clare solve the murder of assistant manager Anabelle. 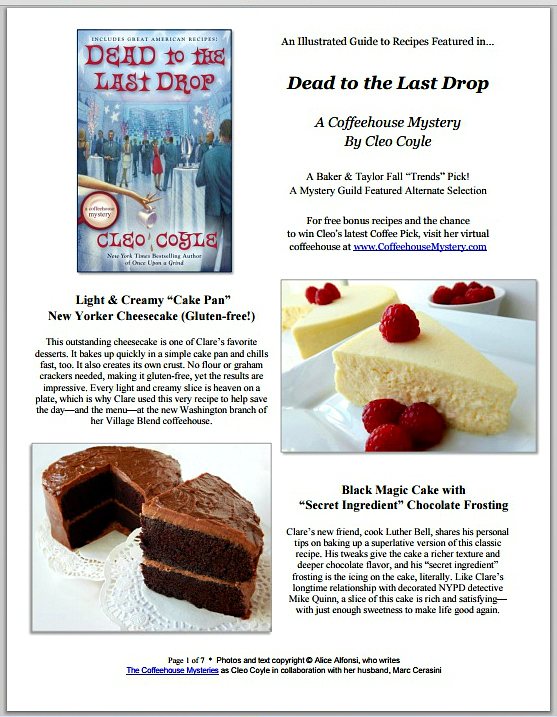 Turns out Detective Quinn likes Clare’s lattes as much as hearing her opinions about his current cases, including his latest one: a suicide. Or was it? 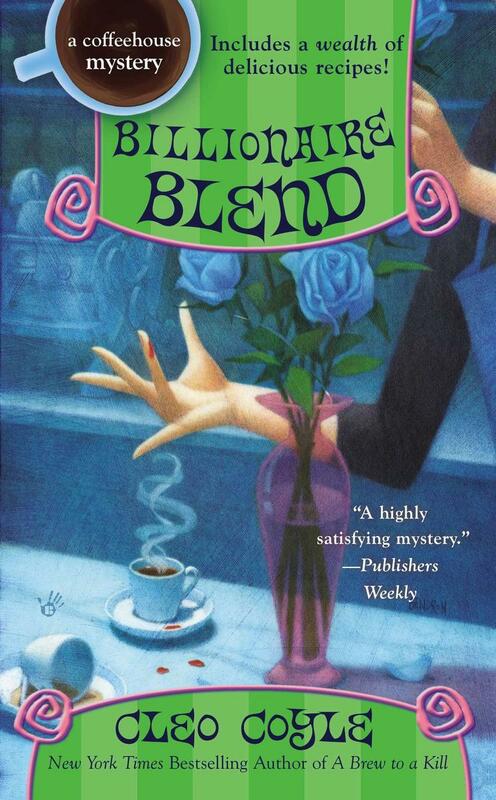 Soon after stopping at the Village Blend coffeehouse, a regular customer jumps to her death in the subway. Or was she pushed? 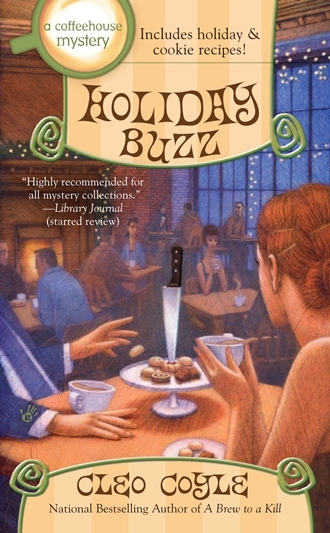 Detective Quinn is convinced that someone has an axe to grind, especially after the “suicide” of a second female customer. Unfortunately, his prime suspect is Bruce Bowman, the new man in Clare’s life. Bruce is the perfect blend of rugged good looks and potent personality. Too bad the women in his life keep turning up dead. Now Clare will have to risk her heart—and her life—to follow the killer’s trail to the bitter end.
" 'Men are pigs. They should die!' 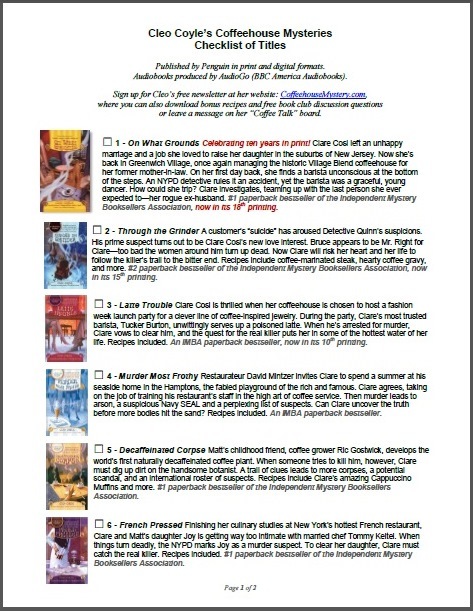 Tucker Burton's words were audible over the steam wand's hiss...It wasn't that I disagreed with Tucker about men. 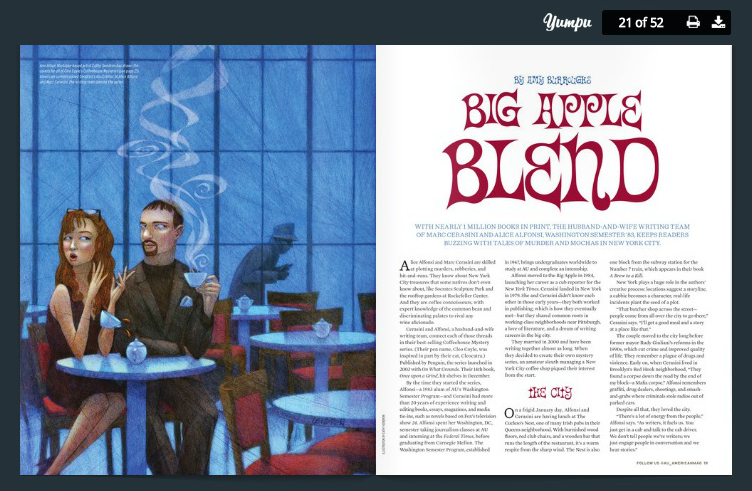 When they acted like pigs, I wanted blood too, so to speak...."
The barista meets the fashionista! For years, fashion designer Lottie Harmon was the toast of New York’s fashion industry until something happened that made her close up shop and leave the city. 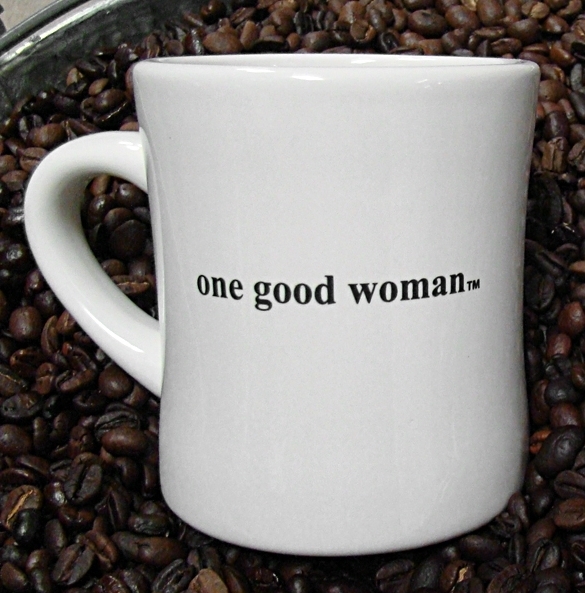 Now she’s back, making a splash with an ingenious new collection of coffee-inspired accessories. 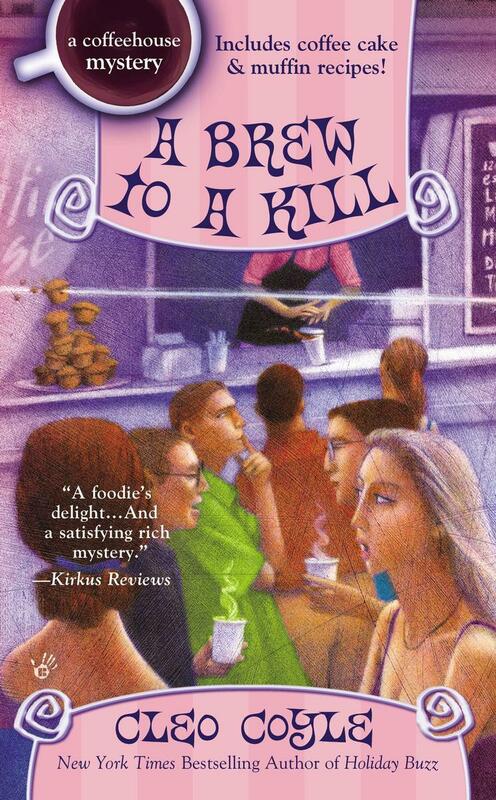 Because Lottie was always a loyal customer of the Village Blend, she chooses Clare’s coffeehouse as the stage for fall Fashion Week insiders to view her new line of “Java Jewelry.” During the launch party, however, Blend barista Tucker Burton unwittingly serves a poisoned latte to one of Lottie’s guests. Chaos ensues as paramedics rush in, and the police arrest Tucker. 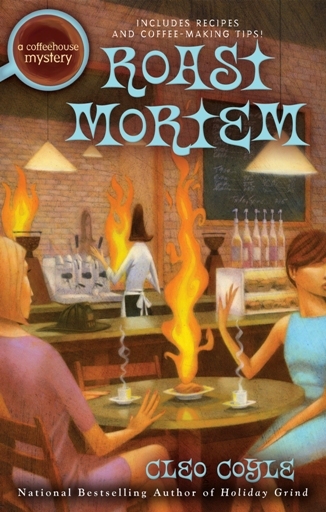 "Hours before I found the body, one of Detective Mike Quinn's pithy comments came back to haunt me: 'You know, Clare, it's a little known principle of physics that a great deal of money can create a completely separate universe....'"
Clare Cosi's new friend, millionaire entrepreneur David Mintzer, makes her an offer no New York barista could turn down: an all-expense-paid summer away form the sticky city. At David’s oceanfront mansion, Clare plans to relax, soak up the sun, and (oh, yes) train the staff at David’s new East Hampton restaurant, Cuppa J, in the high rituals of proper coffee service. 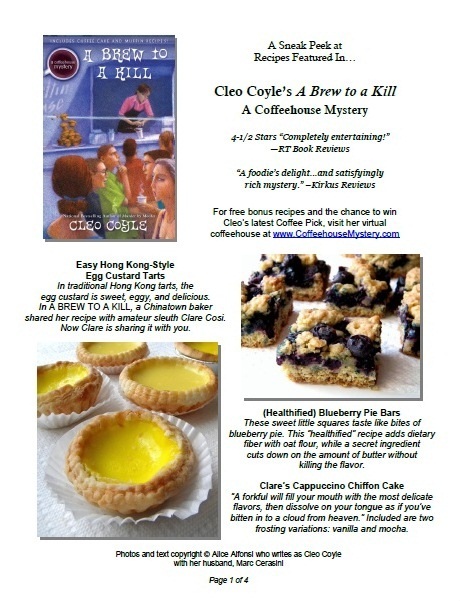 Packing up her daughter, her former mother-in-law, and her special recipe for frothy coffee frappes, Clare expects to have a de-latte-ful summer. But her carefree vacation grinds to a halt when an employee turns up dead in David’s bathroom. Because of the Fourth of July fireworks, no one heard any gunshots. That doesn’t worry Clare. She’s just starting to investigate, and the disturbing facts she uncovers are going to keep her up at night—even without caffeine. "In 1862 New York instituted its first gun control law, banning rifles to discourage hunting within the city limits. Nearly one hundred and fifty years later, at least one hunter failed to be discouraged...."
At the Village Blend, Clare Cosi’s best baristas may refer to a decaffeinated espresso as a “why bother?”, but Clare knows a good percentage of her customers prefer the neutered brew. 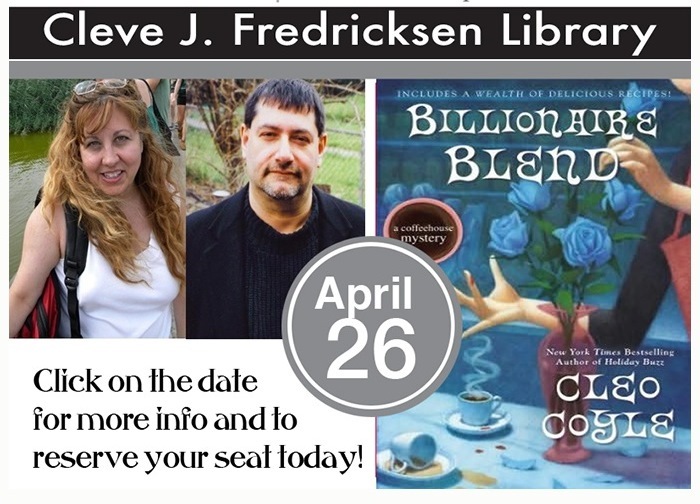 So when Ric Gostwick, a charismatically handsome Brazilian, develops the world’s first botanically decaffeinated coffee plant, Clare can see why Matt (her ex-husband and business partner) gets into bed with the deal. Unfortunately, Ric is also getting into bed with more than one woman. And when an attempted murder happens right outside the Blend’s back door, Clare suspects more than Ric’s revolutionary new plant has its roots in some dirt. 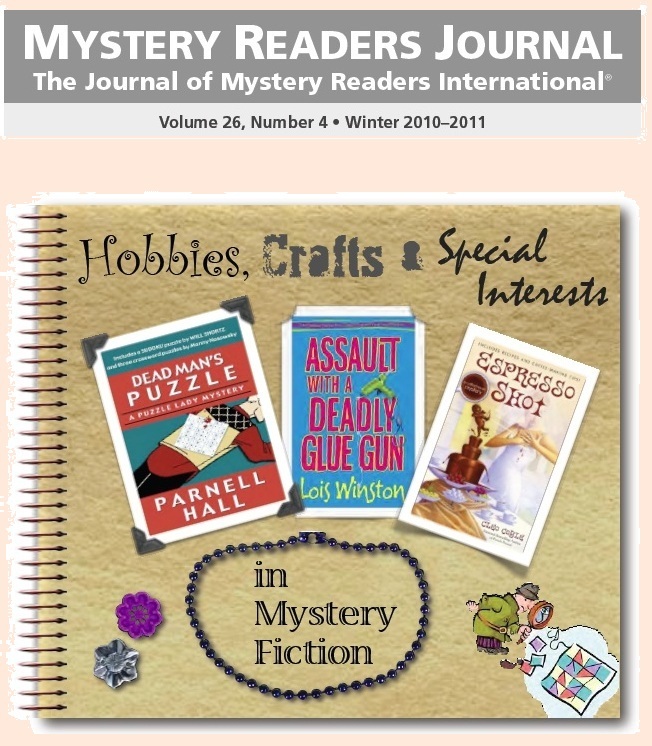 As she begins to investigate Ric’s background and business connections, a trail of clues leads to a pile up of casualties and an international roster of suspects. 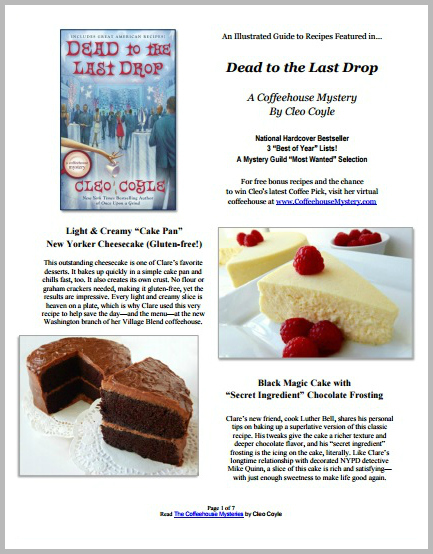 Now Clare knows she’s got to find the murderer before one of her near and dears takes a fall. 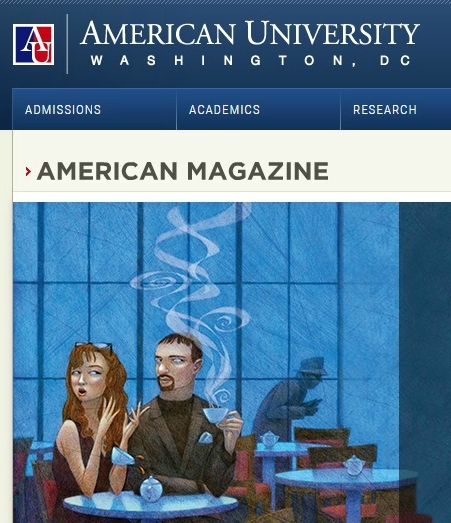 Otherwise, her latest addition to the Village Blend menu will prove to be a real buzz killer. No, the lukewarm ebony liquid sloshing around my bone china cup wasn’t actually lethal, just bitter, old, and lifeless—the kind of adjectives I would have been mortified to hear uttered about my coffee, God forbid my person..."
Clare Cosi's daughter, Joy—a girl who doesn't always make the *best* decisions—is finishing up her culinary studies with an internship at Solange, one of New York City's hottest French restaurants. She's also getting way too intimate with her boss, the older, married Executive Chef Tommy Keitel. Clare's not buzzed about the relationship (to put it mildly), but what twenty-something takes romantic advice from her mother? 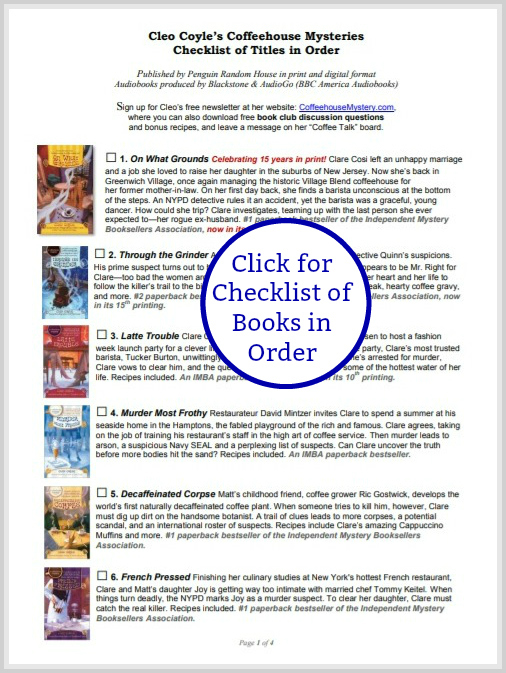 Resolving to keep a closer eye on Joy, Clare makes a deal to micro-roast and French press exclusive coffee blends for Tommy, a man she wouldn't mind seeing roasted and pressed himself! 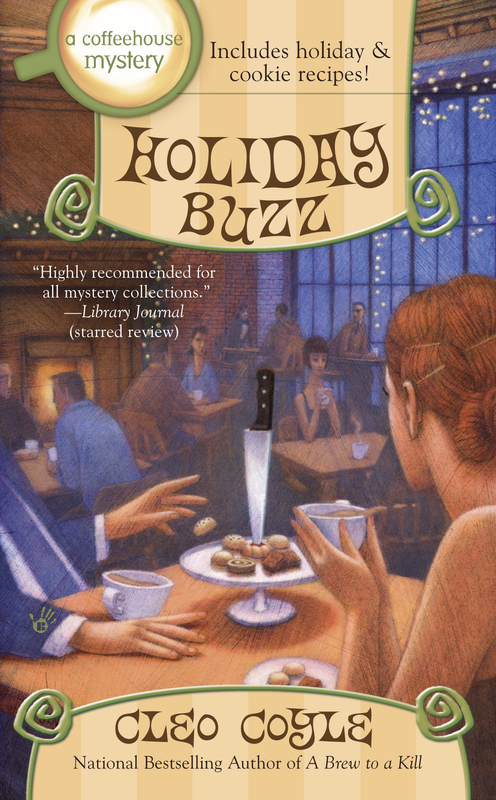 Then the competitive kitchen turns cutthroat, and the NYPD marks Joy as a murder suspect. To clear her daughter of the crime, Clare knows she must catch the real killer...even if it lands her in the hottest water of her life. 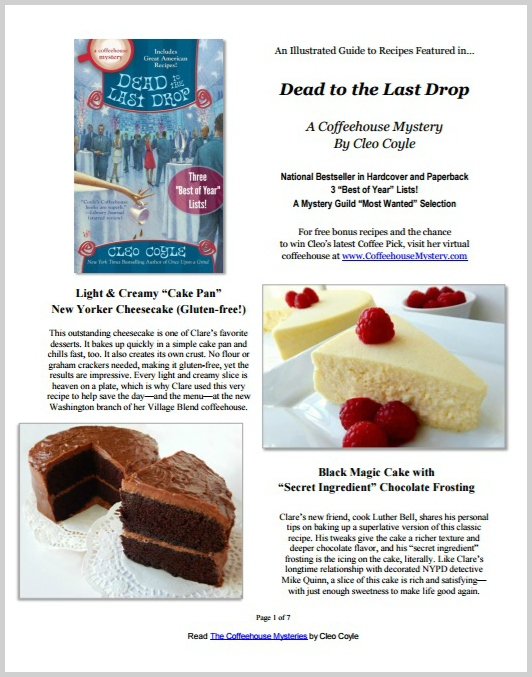 Clare’s been hired to create a gourmet coffee and dessert bar for a New York wedding to be held at the world-renowned Metropolitan Museum of Art. Famous chefs will be there, celebrities, members of the press, well-known politicians—so why isn’t she thrilled to have this chance to shine? Because the person tying the knot is Matteo Allegro, her ex-husband and current business partner. And while Clare has no designs on ever marrying Matt again, she’s afraid he’s making a terrible mistake. The bride-to-be is Trend magazine editor Breanne Summour. Beautiful, wealthy, and sophisticated, the snarky tastemaker has never been a low maintenance kind of gal, and now she’s in full-blown bridezilla mode. 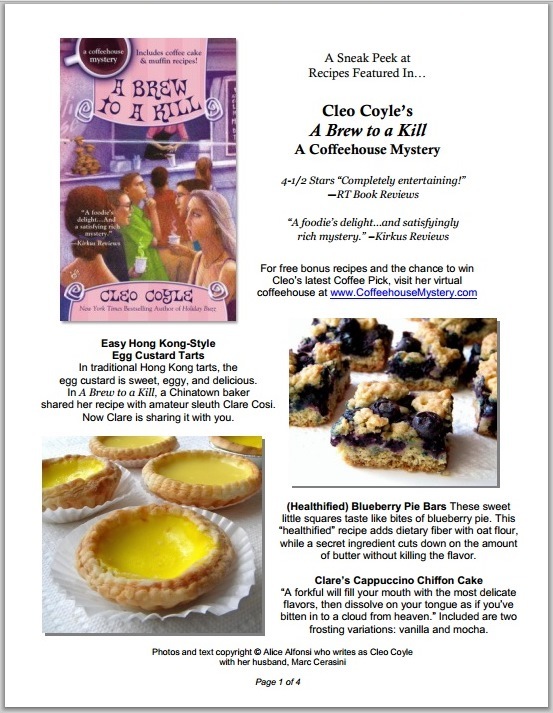 The only way Clare can possibly deal with her is to put her misgivings aside and focus on business. 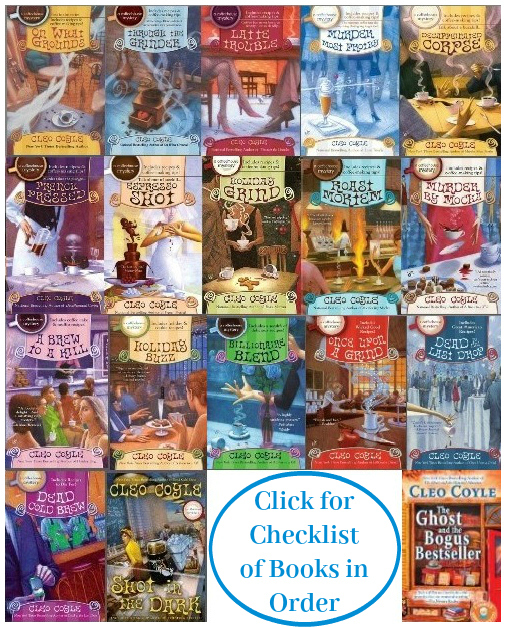 But as a successful amateur sleuth, murder is Clare’s business, too, and when fatal accidents begin befalling people close to Breanne, Clare becomes suspicious. Is someone trying to sabotage this wedding? Even kill Matt's bride-to-be? 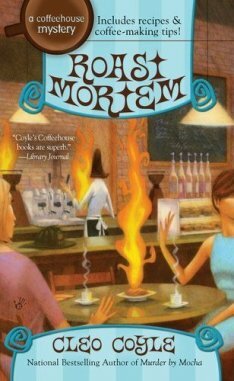 "In this hardcover debut of the popular Coffeehouse Mystery series (French Pressed; Decaffeinated Corpse), New York City coffeehouse manager Clare Cosi's ex-husband and business partner is marrying the editor of a scandal magazine. But someone has decided to kill the obnoxious Breanne Summour before the wedding. 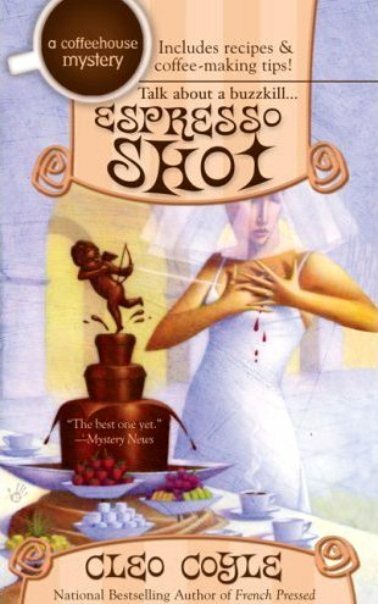 Having been hired to create a gourmet coffee and dessert bar for the nuptials at the Metropolitan Museum of Art, Clare is dragged into protecting the bridezilla. 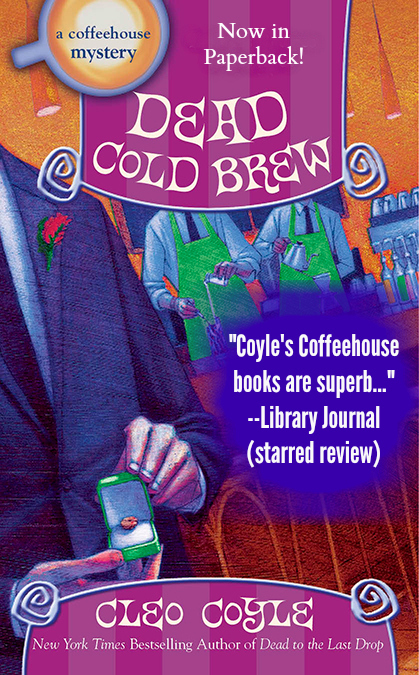 Coyle's "Coffeehouse" books are superb examples of the cozy genre because of their intelligent cast of characters, their subtle wit, and their knowledge of the coffee industry used to add depth and flavor to the stories..."
keep your cup piping hot." Coffeehouse manager Clare Cosi has grown very fond of Alfred Glockner, the part-time comic and genuinely jolly charity Santa who’s been using her Village Blend as a place to warm his mittens. When she finds him brutally gunned down in a nearby alley, a few subtle clues convince her that Alfred’s death was something more than the tragic result of a random mugging—the conclusion of the police. 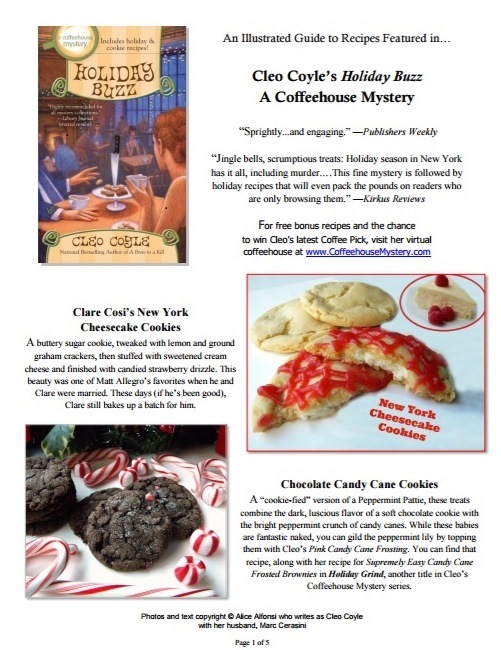 Between baking delicious holiday goodies and fending off the attentions of a persistent professional elf, Clare sets out to solve Santa’s slaying. But she'd better watch out, because if she fails to stop this stone cold killer, she may just get the biggest chill of her life. 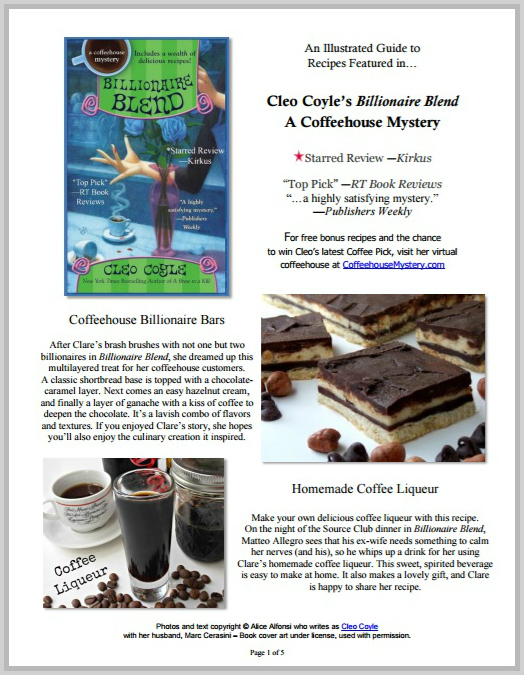 This very special entry in Cleo's series includes an extra-large bonus section of delicious holiday recipes as well as a glossary of coffeehouse terms, instructions on making espressos and lattes without an expensive machine, and tips and recipes for creating your own tasty coffeehouse syrups at home. 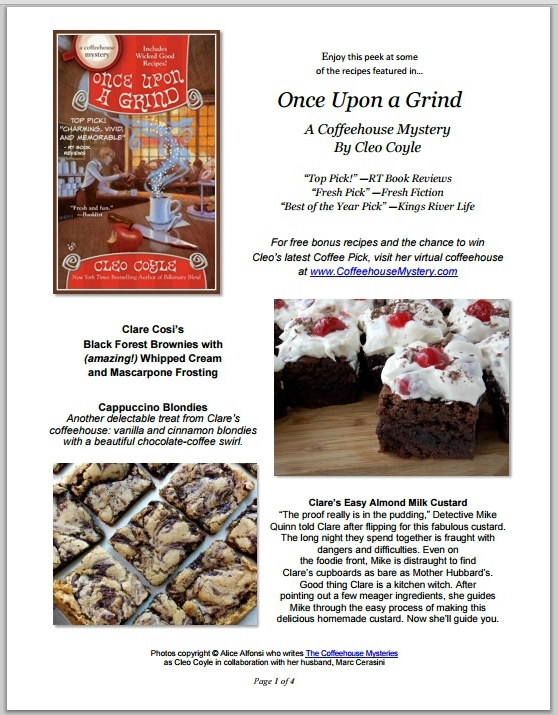 Click here for a free bonus recipe from Cleo. 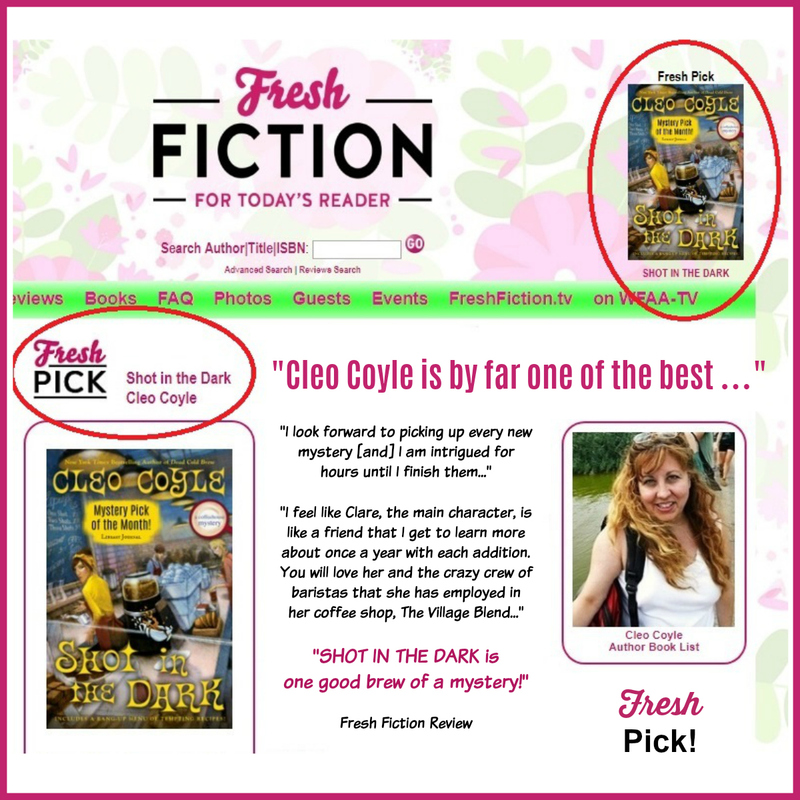 than Cleo Coyle. . . . a winner." 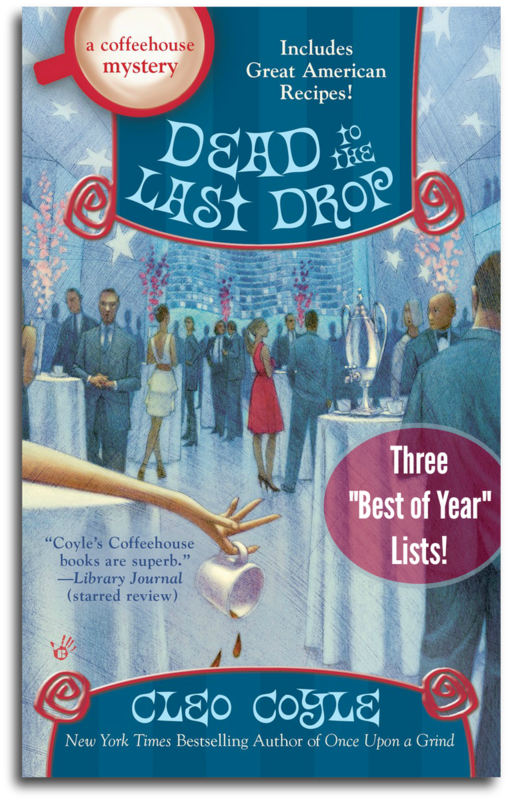 "Favorite Book of the Year"! Clare Cosi, manager and head barista of the landmark Village Blend coffeehouse, has perfected the pulling of steaming hot espressos. But can she keep New York’s Bravest from getting burned? to man is in a fire truck." heat up your love life? 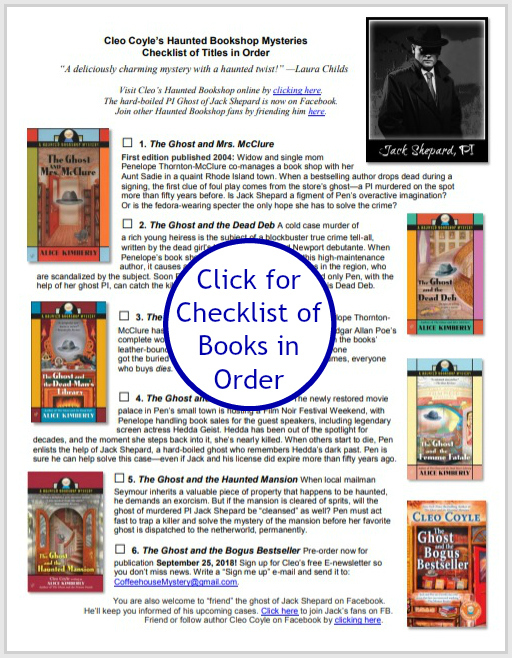 Please see *disclaimer at the bottom of this page. Coffee Truck in New York City. A Brew to a Kill. 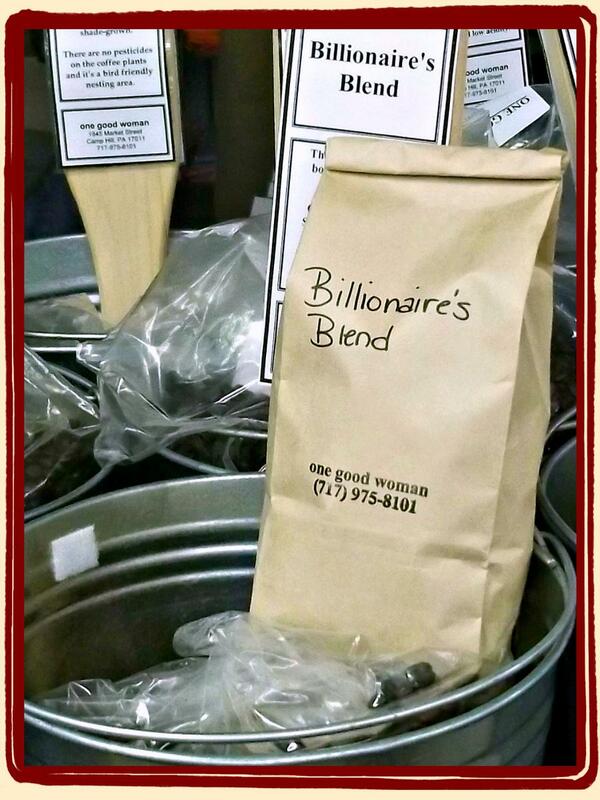 the most expensive coffee blend on the planet. 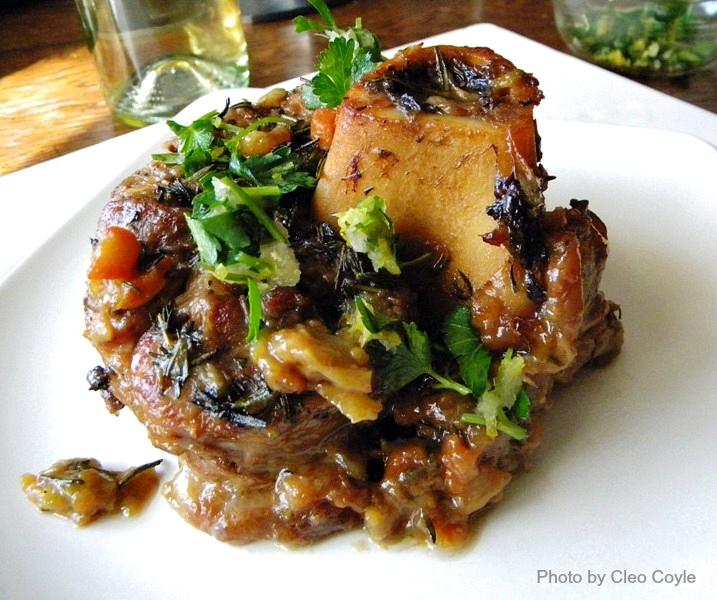 Over 20 "Wicked Good" Recipes! Or watch on Facebook by clicking here. we signed books for 90 minutes! *YouTube Videos: The YouTube videos found on this website are for informational or educational purposes only. 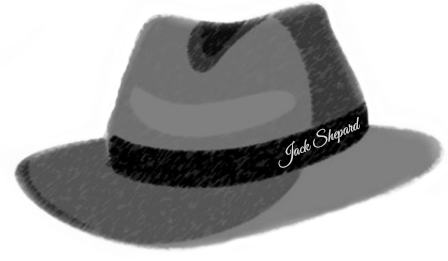 They are embedded with code provided by YouTube.com, which posts links and codes for the public so that blogs and websites may share its content, which it displays under license. This website (CoffeehouseMystery.com), its owner, and Cleo Coyle make no claims and bear no responsibility for the accuracy, legality, or content that YouTube provides in the videos they make available for sharing. Please contact YouTube.com with answers to any questions regarding their content.